Be the change you want to see. Come and learn how you can make an impact in the life of children in foster care. 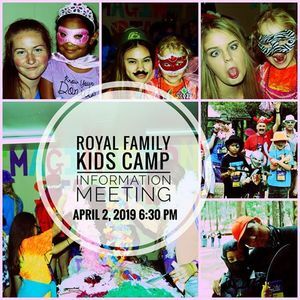 RFK Camp is a 6 day local mission trip. 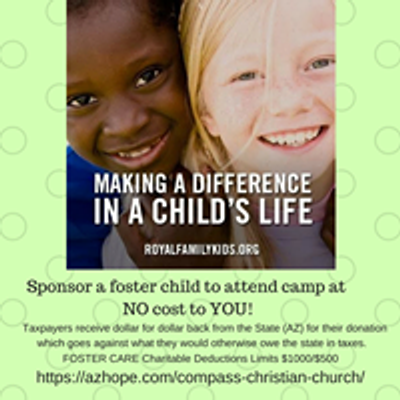 We provide children in foster care ages 7-11 the life-changing opportunity to escape their unstable lives and travel to the cool pines of northern Arizona where they conquer feats such as zip lining, shooting BB guns, and archery while being treated royally by eager volunteers. We not only teach them about God’s love for them, we SHOW them God’s love for them. It takes many hands, willing hearts, and sufficient funds to provide this memorable week for these children in foster care. This is a mission trip where you don’t need a passport or to fly overseas. These children are from our own backyard, our own neighborhoods, our own schools and even our churches. Whether you can donate a couple of hours of your time or an entire 6 days, YOU can help to share God’s love with the least of these. Each volunteer makes a significant impact! RFK Club- We will be launching a RFK Mentor Club this fall to continue building healthy relationships with the children from camp. Learn more about how you can be involved at this informational meeting.